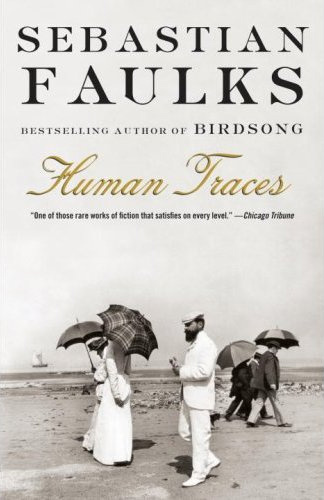 Sebastian Faulks’ seventh novel, Human Traces, which was released in 2005 was recently re-released in paperback form on March 18th. The book took Faulks five years to write most likely due to the complexity of the story which is about discovering the nature of mental illness. I’ve yet to read this one too. 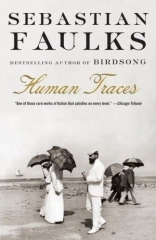 Of Faulks’ work I’ve only read what is called his “French trilogy”; The Girl at the Lion D’or (1989), Birdsong (1993), and Charlotte Gray (1998). The best was clearly Birdsong (simply, a classic), though the others were quite good too. Faulks’ next release will be a paperback edition of Engleby – his eighth novel on May 27th, with Devil May Care following the very next day.